5.2???? Notice Of Motion - Local Governmemnt (Manufactured Home Estates, Caravan Parks, Camping Grounds & Moveable Dwellings) Regulation 2005 ? I request leave for the period 17 September 2010 to 4 October 2010 inclusive, for personal reasons. 2??????? Leave not be granted. Under the current Local Government (Manufactured Home Estates, Caravan Parks, Camping Grounds & Moveable Dwellings) Regulation 2005 caravan and manufactured-home park owners are required to advise Council of the positioning of a new dwelling seven (7) days AFTER the actual placement.? Council is aware of the issues this can create if the dwelling is inappropriately positioned eg outside of boundaries or over easements. Council can take no action. Under the current Local Government (Manufactured Home Estates, Caravan Parks, Camping Grounds & Moveable Dwellings) Regulation 2005 caravan and manufactured-home park owners are required to advise Council of the positioning of a new dwelling seven (7) days AFTER the actual placement.? Council is aware of the issues this can create if the dwelling is inappropriately positioned eg outside of boundaries or over easements. Council is currently dealing with situations where dwellings have been inappropriately positioned in Caravan Parks.? These issues could have been avoided if Council were notified and given the opportunity to comment PRIOR to the placement of the dwellings. Such notification prior to placement or construction would be in keeping with the planning requirements for all other dwelling types. Notification to Council prior to placement of dwellings allows the opportunity for environmental impacts to be avoided. The potential social disadvantages and stress suffered by home owners when dwellings are inappropriately placed could be avoided. There are potential financial savings to home owners, park operators and Council in not having to deal with inappropriately placed dwellings. There is potential risk reduction for home owners, park operators, Council and adjoining land owners in ensuring that dwellings are appropriately positioned. No additional funds or variance to working funds required. Provision for Customer Survey made in 2010/2011 budget.? Jetty Research has been engaged.? Tentative booking made for late October/November.? Draft questions to be circulated to shortly. Report in August 2010.? Report deferred to September. ?Obtaining comparative data difficult. Response from the Scientific Committee received. Application made to deccw and Federal Department of Environment for removal of all camphour laurels.? Awaiting response. DoE application to remove camphor laurels to be determined 11 June. DECCW application still being processed in Sydney. Removal of understorey wooden weeds and other noxious weeds currently being removed by Landcare. DoE referral was returned as not controlled action therefore we must look at the section 91 licence. The DECCW section 91 licence is in draft form with the conditions. A meeting with Landcare will be set up and conditions discussed as to how Council and Landcare will be able to implement them. Section 91 licensed issued.?? Meeting held.? Contractor engaged to remove camphor laurels. Camphor laurels removed 27 July 2010. Meeting being arranged with residents and DECCW. Meeting arranged for Tuesday 24 August 10.00 am at Bowraville Lions Park. Report to be prepared for Council?s consideration. Letters sent 10 May 2010.? No response received as at 24 July 2010.? Follow up letter sent by Mayor on 20 August 2010. RTA to erect flood markers showing anticipated 1:100 year FFL with and without the new highway at Kings Point and River Street. This will be followed up with the RTA. Letters sent 9 July 2010. Council write to the DoP asking for clarification on their definitions ? supplementary feeding, wholly and substantially, and intensive and extensive agriculture. Letter sent 28 July 2010. No response as at 10 August 2010. Response received 23 August 2010 see Trim 20423/2010 attached. Response attached to end of report. De Groot Benson to be contracted concerning a meeting date.? Council write to all major political parties to seek a commitment to match the State Government?s funding for the off stream dam. Letters sent 9 August 2010. The exhibition period for the inclusion of the Section 94 Contributions for Bellwood Local Roads & Traffic Contribution Plan 2009 into the 2010/11 Fees and Charges ended on the 19 August 2010.? There were no submissions received.? The Draft Section 94 Contributions for Bellwood Local Roads and Traffic Contribution Plan 2009 was placed before Council on the 15 July 2010. The charges for Subdivision/New Lot (eqv 2.4 persons) each for 2009/2010 was $2,839.18 and for the 2010/2011 year is $2,899.20. It was then resolved to place the document on public exhibition.? This period ended on the 19 August 2010. There were no submissions received. Section 94 developer contributions represent a significant income stream for Council in assisting with the provision for new road infrastructure, where that infrastructure is required as a result of new development demands.? The provision of the road infrastructure relies on developer contributions to fund the works program. The report acknowledges the Annual General Meeting of the Missabotti Community Centre Committee of Management and the new Committee.? Copies of the Minutes of this meeting and the Financial Statement are attached. That Council endorse minutes of the Committee of Management for the Missabotti Community Centre?s Annual General Meeting held on 28 July 2010, and thank the outgoing Committee for their work in the past twelve months. The AGM of the Missabotti Community Centre Committee of Management was held on Wednesday 28 July 2010. ??????????????????????????????????????????????? Mick Moran, Dianna Trilsbach, Mark Hudson.. The report acknowledges the Annual General Meeting of the Gordon Park Tennis Centre Committee of Management and the new Committee which was held on 22 July 2010. That Council endorse the minutes of the Committee of Management Gordon Park Tennis Centre?s Annual General Meeting? which was held on 22 July 2010 and that Council thank the outgoing Committee for their work in 2009/2010. The AGM of the Gordon Park Tennis Centre Committee of Management was held on Thursday 22 July 2010. ???????????????????????????????????????????????????????? Colin McAulay,? Julie Higginbotham. The Treasurer?s report indicates that the Committee spent $23,693.90 on the installation of new lights. That Council endorse the minutes of the Committee of Management of the Gordon Park Rainforest Walks? Annual General Meeting which was held on 5 August 2010 and that Council thank the outgoing Committee for their work in 2009/2010. The AGM of the Gordon Park Rainforest Walks Committee of Management was held on Thursday 5 August 2010. The Treasurer?s report indicates a balance as at 30 June 2010 of $1281.04. The report acknowledges the Annual General Meeting (AGM) on 11 August 2010 of the Welsh Pioneer Park Committee of Management and the new Committee.? A copy of the minutes of this meeting is attached. That Council endorse the minutes of the Committee of Management for the Welsh Pioneer Park?s Annual General Meeting which was held on Wednesday 11 August 2010 and thank the outgoing Committee for their work in the past twelve months. The AGM of the Welsh Pioneer Park Committee of Management was held on Wednesday 11 August 2010. ??????????????????????????????????????????????? Kandy Bissett, Trish Regan, Margaret Patmore. It should be noted that the minutes indicate that no financial activities take place with this Committee therefore there is no Statement of Income and Expenditure and Balance Sheet. There are no financial implications on the budget. The report acknowledges the Annual General Meeting of the Missabotti Community Centre committee of management and the new Committee.? A copy of the minutes and the financial statement are attached. That Council endorse minutes of the Committee of Management for the South Arm Hall?s Annual General Meeting held on 22 August 2010, and thank the outgoing Committee for their work in the past twelve months. The AGM of the South Arm Hall Committee of Management was held on Sunday 22 August 2010. PRESENT: Rhonda Mathews, Gail Perry, Joan Rossington, Mary Noble, Robyn Wilson, Alba Sky, Maria Tesser. Apologies: Ilse Noble, Gwen Gatter. There was no interest in the positions vacated and so the executive has remained the same again this year. Media and Grants: Joan Rossington. All business was dealt with in the preceding general meeting. Treasurers Report: balance at 30.6.2010 $4414.65. Auditing of books not required for this year because of B.A.S. being tendered on the monthly basis. Moved Rhonda, 2nd Joan that balance correct. Rhonda to send report to council. Hall hire has been set at $50.00, with a $200.00 bond. Garbage Disposal set at $15.00. Not for Profit hire set at $10.00. Next meeting at a date to set in August next year. Further additional information received by letter dated 30 July 2010. DA? readvertised and renotified until 13/9/10. Council has received advice from the Hon Frank Sartor AO, Minister for Climate Change and the Environment that Council has been successful with two of its four applications made under the Coastal, Estuary and Floodplain management funds. Both applications are matched $ for $ through the Environmental Levy. 1.?? That Council accept the two funding applications for the final stage of the Nambucca Coastal Hazard Management Plan and the continuation of the Nambucca River Flood Study and Review. 2.?? That the Director Environment and Planning use his delegations to complete and return the funding agreements. Council could choose not to accept either or both of the grants. The NSW State Government implemented a new process for the calling of funding applications under the Coastal, Estuary and Floodplain management funds to align with Council's budget program. Council has received advice from the Hon Frank Sartor AO, Minister for Climate Change and the Environment, that Council has been successful with two of its four applications made under the Coastal, Estuary and Floodplain management funds (see attachments). Both applications are matched $ for $ through the Environmental Levy. This further demonstrates justification for the introduction and continuation for the Environmental Levy to source external grant funds that would not normally be available to Council or its community for projects identified through the Levy. These two grants of $55,000 will see benefits for future generations within the shire and place Council in a positive position to apply for further grants for the implementation of recommendations through these Management Plans, thereby reducing the financial impact on its residents and ratepayers. The $30,000 ($15,000 grant & $15,000 Environmental levy) for the Coastal Hazard Management Plan will assist with funding the completion of the Coastal Hazard Management Study and Plan. The $80,000 ($40,000 grant & $40,000 Environmental levy) will assist with the continued review of the Nambucca River Flood Study and assist with the extension of the Flood studies further up the two main arms of the River. There is a recommendation for the appointment of a Consultant to complete the final stages of the Nambucca Coastal Hazard Management Plan in the minutes of the Nambucca River, Creeks, Estuary and Coastline Management Committee Meeting held on Friday, 13 August 2010 which are included in the agenda for this Council meeting. The budget for this consultancy includes the $30,000 from this grant. The continuation of the review and extension of the Flood Studies for the Nambucca River will be assisted by these funds and will see the Flood studies extending up the river and its two main arms hoping that these funds enable the inclusion of Bowraville. A brief will be prepared for presentation to the November 2010 meeting of the Nambucca River, Creeks, Estuary and Coastline Management Committee for endorsement and referral to Council to proceed with Tenders for the Flood Studies and Review. The projects funded under the two grants will consider, identify and include the many environmental impacts and benefits. Both projects will need to take account of the impacts and benefits associated with Coastal Hazards and Flooding. Both projects identify economic impacts associated with hazards from coastal processes and flooding. Some of the recommendations may have positive and negative economic impacts for landowners and land managers. The projects funded under the two grants will consider, identify and include the many environmental. social, economic and exposure risks for Council. Both grants were identified in draft budget and are in the final adopted 2010/2011 budget. Attached for Council?s endorsement is a copy of the Minutes of the Nambucca River, Creeks, Estuary and Coastline Management Committee Meeting held on Friday, 13 August 2010. Item 4.1? That the Nambucca River, Creeks and Estuaries and Coastline Management Committee request Council to write to RTA-SKM asking to have predicted flood heights marked on electricity poles to the extent of Council?s flood mapping, extending to include Nursery and Gumma Roads, to indicate Council?s 1:100 year predicted flood height and RTA-SKM predicted 1:100 year flood height with climate change and sea level rise, highway bypass completed as an act of transparency and good faith to the community, before RTA submits proposed highway upgrade to the Planning Department for approval. Item 6.2? That the Committee recommend to Council that SMEC Australia in association with Umwelt Australia be contracted to undertake the preparation of the Nambucca Coastal Zone Management Study and Management Plan being Stages 2 & 3 of the Nambucca Coastal Zone Management Plan in accordance with Council?s Consultants Brief and the submitted tender documents and price from SMEC Australia in association with Umwelt Australia. The contract with SMEC Australia and Umwelt is to include an initial round of community engagement discussion as well as the community consultation during the exhibition period of the draft Nambucca Coastal Zone Management Plan. 1??????? That the Nambucca River, Creeks and Estuaries and Coastline Management Committee request Council to write to RTA-SKM asking to have predicted flood heights marked on electricity poles to the extent of Council?s flood mapping, extending to include Nursery and Gumma Roads, to indicate Council?s 1:100 year predicted flood height and RTA-SKM predicted 1:100 year flood height with climate change and sea level rise, highway bypass completed as an act of transparency and good faith to the community, before RTA submits proposed highway upgrade to the Planning Department for approval. 2??????? That the Committee recommend to Council that SMEC Australia in association with Umwelt Australia be contracted to undertake the preparation of the Nambucca Coastal Zone Management Study and Management Plan being Stages 2 & 3 of the Nambucca Coastal Zone Management Plan in accordance with Council?s Consultants Brief and the submitted tender documents and price from SMEC Australia in association with Umwelt Australia????? 3??????? That the remainder of the Minutes from the Nambucca River, Creeks, Estuary and Coastline Management Committee Meeting held on Friday, 13 August 2010 be endorsed. A number of matters were discussed at the Nambucca River Estuary and Coastline Management Committee meeting held on Friday, 13 August May 2010. Each of the matters was presented through detailed reports. The Director Environment and Planning confirmed that Council had written to the RTA identifying the locations of markers in the Kings Point area and along River Street Macksville. He also confirmed that the RTA noted the letter and will present Council with a map of the proposed marker locations. This recommendation identifies additional marker locations and following the adoption of the Minutes a further letter is to be sent to the RTA. That the Committee recommend that Council write to the other Consultants advising that they have been unsuccessful on this occasion. Discussions will be held with SMEC to negotiate the additional community engagement without any increase in cost. Council will recall that it endorsed a recommendation from the last Committee meeting that each representative will be given the opportunity to provide an update on their organisation/department which is of general information. The tracking and recording of these "general business" discussions will be captured in a Table in the minutes. Any Actions that require a further letter or report for the next meeting will be specifically identified. The tracking table will be in the following format. The funds for the finalisation of the Nambucca Coastal Hazard Management Plan are provided for in the 2010/2011 budget through the Environmental levy and External Grant funds. That the Committee note the adoption and endorsement of the recommendations of the Minutes of the Meeting held 28 May 2010, by Council at its meeting of 16 June 2010. That the Nambucca River, Creeks and Estuaries and Coastline Management Committee request Council to write to RTA-SKM asking to have predicted flood heights marked on electricity poles to the extent of Council?s flood mapping, extending to include Nursery and Gumma Roads, to indicate Council?s 1:100 year predicted flood height and RTA-SKM predicted 1:100 year flood height with climate change and sea level rise, highway bypass completed as an act of transparency and good faith to the community, before RTA submits proposed highway upgrade to the Planning Department for approval. 1????????? That the Committee recommend to Council that SMEC Australia in association with Umwelt Australia be contracted to undertake the preparation of the Nambucca Coastal Zone Management Study and Management Plan being Stages 2 & 3 of the Nambucca Coastal Zone Management Plan in accordance with Council?s Consultants Brief and the submitted tender documents and price from SMEC Australia in association with Umwelt Australia. 2????????? That the Committee recommend that Council write to the other Consultants advising that they have been unsuccessful on this occasion. 3????????? The contract with SMEC Australia and Umwelt is to include an initial round of community engagement discussion as well as the community consultation during the exhibition period of the draft Nambucca Coastal Zone Management Plan. 1?? Where is Lower Nambucca Flood Study up to? 3?? Shellfish water quality. Nambucca River closure is 35mm of rain. Recent rain event of 37mm identified elevated levels of Faecal Caliform. Logs and obstacles in river any possibility or removing them. ? The next meeting will be held on Friday 12 November 2010 commencing at 8.30 am. There being no further business the Chairperson then closed the meeting the time being 10.10 am.? As part of the conditions of the grant agreement the second milestone report for the Our Living Coast project has been presented to the NSW Environmental Trust on the 31st July 2010. The following is a summary of the detailed report. The routemap process started with an inception meeting with the consultants and the project team on the 28th April to discuss the scope and development of the document. A workshop was convened for the steering committee and project team on the 10th May and set out the broad parameters and design of the routemap. A presentation to the General Managers of each alliance council followed. A workshop was run in Bellingen on the 11th May for people who, based on their experience, knowledge and position would be useful contributors to the development of the routemap. The workshop provided further input into the design and considered priority sustainability issues for the region. The draft routemap was circulated to those persons attending the workshop and team members for comment and another workshop was held to fine tune the draft on the 16th June in Bellingen. The last and most important workshop was conducted on the 17th June in Urunga with the steering committee, project team, consultants and selected alliance Council Directors and Managers in order to obtain feedback and support. There were 27 people from the 3 Councils that attended this workshop and discussed the routemap, collaboration on sustainability across Councils and finally to develop real possible projects. Finalisation of the routemap was done on the 1st July with the steering committee and the project team. The document was printed and distributed on the 12th August. The domain name www.ourlivingcoast.com.au has been registered by Coffs Harbour City Council on behalf of the Our Living Coast alliance. The front page has been live since May and has an electronic subscription service which is available for community members to subscribe to the e-newsletter, the first e-news going out on the 30 July. It also shows the 3 alliance Councils? logos which act as links to each Council?s website. The sustainable living guide topics have been chosen and written to include the regions local resources. The site is set to go live 15th September. o? Via the OLC website by providing information of living sustainability, footprint calculators, etc. The first Sustainability workshop was on energy efficiency for the home which was run on 14th July and included an energy efficiency kit to the value of $50 and the second one on renewable energy for the home on 24th August. There are many more scheduled including, Sustainable House open day 12th September, Solar Hotwater (Sept), Waterwise Homes and Gardens (Oct) and Growing Food for People and Wildlife (Nov). The total OLC on ground works budget is $1 034 970 as per agreed budget. * total share has not been finalised due to NSW Environmental Trust delay on accepting the suitability of some on ground projects submitted. The Our Living Coast is to be officially launched on Wednesday 15th September 2010 at the Cavanbah Centre, Coffs Harbour. The Mayor and all Councillors are invited to attend noting it clashes with the September General Purpose Committee meeting. These applications have been successful. ????????? ii??????? Lighting Up Our Game ? A Partnership approach towards supporting sport participation in Bowraville for $40,000. 2????????????? That an additional $21,570 be included in the 2010/2011 budget for the Bowraville Project. 3??????? That the Committee of Management be advised that they are responsible for the running costs and required repairs for the lights. 1??????? Bringing Back Cricket Project is for the construction of a cricket pitch and practice nets at Buz Brazel park.? The total project cost is $30,000 and the approved grant is for $9,000.? Council?s contribution ($21,000) is included in the existing budget allocation for the redevelopment of Buz Brazel Park. 2??????? Lighting Up Your Game Project is for the installation of floodlighting at Hennessey Tape Oval.? The total project cost is $80,000 and the approved grant is for $40,000.? The balance is to be funded by a combination of ?in kind? contributions of $18,430 and a direct Council budget allocation of $21,570.? Council?s contribution is currently unfunded. Improvement to sporting facilities will enhance the health and social well being of the Scotts Head and Bowraville communities. Improved facilities may attract sporting teams from other districts and generate income for the local communities. The Committee of Management will have to be responsible for the collection of ground fees to pay for the running costs of the lights and also the replacement of globes. Additional funding of $21,570 is required for the Bowraville project. There will be ongoing costs for the maintenance of the floodlights at Hennessey Tape Oval. The capital funds of $24,500 would be sourced from working funds.? Maintenance funds would be sourced from maintenance allocations or offset by charges to the respective user groups. As part of the development approval for the Kingsworth Estate subdivision the developer was required to construct a reservoir to ensure adequate water supply was provided to the new properties. The reservoir deemed to be practically completed and acceptable for handover to Council in October 2004.? The land on which the reservoir is located is yet to be transferred to Council. As a condition of transfer of the developer wants Council to enter into a Deed of Agreement that recognises a credit toward future water supply headworks contributions due to the fact that the reservoir was sized to cater for future potential development of residue land in Kingsworth Estate. The developer has proposed that a credit for future development of 150 Equivalent Tenements (ET) should apply however it is considered that the credit should relate to the actual construction cost of the reservoir and the water supply headworks contributions charge that applied at the time it was constructed. This equates to a credit for an additional 63 lots and the way this has been calculated as detailed below. 1?????????? That Council write to the developer acknowledging that they agree to enter into a Deed of Agreement for the proposed reservoir land transfer that acknowledges water supply headworks contribution credits for the construction of the reservoir on the proviso that the credit is limited to a maximum of 63 additional future lots. 2?????????? The Council delegate authority to the Mayor and General Manager to stamp and execute all documents required to finalise the transfer of the reservoir land to Council including an amended Deed of Agreement acknowledging a credit for water supply headworks contributions for 63 additional lots. 3?????????? That Council resolve to dedicate the land transferred to Council as operational land for the purposes of water supply. Accept the developers proposed Deed of Agreement for transfer of the land. Apply the agreed credit in another form such as a monetary value, however this is not considered to be as equitable as applying it in terms of the ET charge at the time of construction. Development consent for Stage 2 of the Kingsworth Estate subdivision imposed a requirement to upgrade the water supply infrastructure by constructing a 200 mm dia water supply main along Old Coast Road connected to the Nambucca trunk main as well as a reservoir adjacent to the developed lots. The reservoir was initially proposed to be sized to cater for Stages 2 and 3 of the development which was assessed at 80 ET.? However it became apparent that if a reservoir of this size was built then another reservoir would be required in order to cater for future development of residue land on the estate. Therefore Council and the developer reached an agreement to construct a larger reservoir that would cater for this future development on the proviso that Council acknowledged the additional capacity by way of credits for water supply headworks contributions on future lots.? The reservoir was constructed with a design capacity of 690 kl that would cater for an agreed total of 230 ET. Council deemed that the reservoir had reached the stage of practical and was acceptable for handover in October 2004.? Council has been operating and maintaining the reservoir since this time however the land on which it is constructed is yet to be transferred to Council?s ownership. The developer has recently approached Council to finalise this matter however as a condition of transfer they want Council to acknowledge a water supply headworks contribution credit by means of a Deed of Agreement.? The Deed drafted by the developer proposes recognition of water supply headworks contribution credits for all of the additional 150 ET that the reservoir was designed and constructed to cater for. This proposal does not allow for the fact that water supply headworks contributions can rise significantly over time.? This is particularly relevant for Council given that we are currently working through the pre construction phase of an off river storage project that will have a big impact on these charges should it proceed to construction. It is considered that the most equitable means of recognising the value of the credits that were agreed to apply to the additional storage capacity provided would be to equate the total cost of the reservoir to the headworks contribution per ET that applied at the time it was accepted by Council. The developer?s consulting engineer, de Groot Benson Pty Ltd provided the following details on the construction cost off the reservoir. The developer has 69 lots approved to date therefore the agreed credits that would be applicable would be for 63 lots.? Any future development in excess of an additional 63 lots would be subject to the charges applicable at the time of development. There is no environmental impact associated with the proposed Deed of Agreement. It is considered that the proposed means of applying a credit for the reservoir construction is the most equitable means of ensuring that the developer makes an appropriate contribution towards any future headworks augmentation requirements. The proposed means of calculating the applicable credit mitigates Council?s risk in undercharging for likely future headworks contributions. There is no impact on currents budgets and the proposed credit calculation is considered to be the most equitable means of ensuring appropriate developer contributions are collected as revenue in future budgets. Biennial tenders for the Supply and Incorporation of Stabilising Agents closed on 11 August 2010. Three tenders were received.? Tendered prices are provided in a Circularised Confidential document. This contract is for the supply and incorporation of stabilising agents (cement) in road pavements.? The approximate value of the contract in 2009/2010 was $570,000. Prices were sought for a range of depths of stabilisation ranging from 150mm to 300mm and percentage of stabilising agent from 3% to 5% for each depth. The specification stated an assessment criteria for comparison of 200mm and 4%. A table of prices is circularised as a confidential document. Based on the assessment criteria Stabilised Pavements have provided the lowest price of $6.18/sqm.? It should also be noted that Stabilised Pavements also submitted the lowest price for all treatment combinations. Contractors are required to submit an Environmental Management Plan for the use of cement products. Rehabilitation of road pavements improve safety and community stabilisation through lower operating costs and improved driver comfort. Better road surfacing reduces transport costs. Reduces risk due to motor vehicle accidents as a result of poor pavements. Rehabilitation projects included in current Budget and Forward Plan. Biennial tenders have been invited with three tenders being received for the Supply and Spraying of Bitumen. Fulton Hogan Industries were previously Pioneer Road Services.? They have a depot at Kempsey. ?The approximate value of the contract in 2009/2010 was $674,000. The lowest priced tender is being recommended for approval. The process of spraying hot bitumen consists of eleven separate parts.? The specification required tenderers to price each component based on an assumed programme of 60,000 sqm.? The total cost of the programme was calculated and divided by the assumed quantity to give an overall unit cost. These costs are listed in the Confidential Circularised document. Timely reseals protect road pavements and allow them to achieve their design life. Deterioration of the road surface leading to potholes and potential liability claims. Funds included in the current budget for resealing and rehabilitation projects. This biennial tender for the supply of Crusher Run-Ex Bin Maintenance and Emergency Work has been advertised as a PANEL CONTRACT. Three tenders have been received.? Two tenders are from local suppliers and one from Coffs Harbour. Traditionally this contract has been exclusively offered to one contractor.? This has resulted in unacceptably high transport costs to areas of the Shire remote from the selected quarry.? The approximate value of the contract in 2009/2010 was $460,000. The adoption of a ?PANEL? allows the selection of the quarry closest to the worksite and hence minimising the transport costs.? In order to give staff some guidance the adoption of two zones is proposed as shown on the Circularised plan. Transport costs are variable depending on traffic, job location and road condition. Based on an average driving speed of 50kph the additional transport cost would be in the order of $200.00 for a trip of 50 km each way ie $2.00/km for the round trip. $10.00 per tonne for a truck and trailer. Acceptance of one dedicated contractor can result in higher overall operating costs due to increase cartage distance and costs. Funding is included in the current Budget. This biennial tender for the supply of Raw Feed Ex Bin has been advertised as a PANEL CONTRACT. Traditionally this contract has been exclusively offered to one contractor.? This has resulted in unacceptably high transport costs to areas of the Shire remote from the selected quarry.? Approximate spent in 2009/2010 was $410,000. This biennial tender for the supply of Road Base Ex Bin has been advertised as a PANEL CONTRACT. Supplier??????????????????????????????????????????? Quarry Solutions??????????? 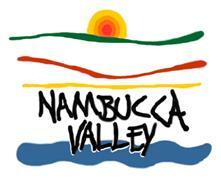 Nambucca Valley Gravel??????? Traditionally this contract has been exclusively offered to one contractor.? This has resulted in unacceptably high transport costs to areas of the Shire remote from the selected quarry.? The approximate value of the contract in 2009/2010 was $281,000. Based on an average driving speed of 50 kph the additional transport cost would be in the order of $200.00 for a trip of 50 km each way ie $2.00/km for the round trip. The Committee addressed the issue of priorities for building maintenance. The Committee discussed the agenda items as presented. Each meeting addresses issues and progress within budgets. A copy of the minutes of 4 August 2010 is attached. The Committee aims to provide equity amongst facility users. Council, as the landlord, is responsible for building and ground maintenance. The meeting allows the user groups to come together and discuss matters of common interest and understand the office and storage needs of the NSW Rural Fire Service and the State Emergency Services. The budget provides $5,000 from Council funds for building maintenance at NEOC. No additional funds from Council required. That the Committee note the adoption of the Minutes of the Meeting held on the 2 June 2010. That Council support the reinstatement of the SES building extension in the 2010/11 budget at the 30 September 2010 budget review by including Council?s $20,000 contribution and the SES $20,000 contribution. That the Committee note the progress of work on the NSW Rural Fire Service extension. That the Nambucca Emergency Operations Centre note the progress of the Works Program Update ? June 2010. That the Nambucca Emergency Operations Centre Committee note the identified issues in the Workplace Inspection Report dated the 13 May 2010 and progressively address each matter. That progress on the issues raised at the meeting held on the 2 June 2010 be noted. It was agreed that the central training room would transfer to SES use once the RFS move into their new offices. Requested a service of air conditioning units to remove the noisy operation. Request for filling over the old slab to stop the ponding of water. Drainage and filling needs to be rectified for the area between the No. 2 shed and the Community Services shed. Surveyor to take levels. Request for area to be slashed. Advised that Dave Mackey (SES Region Controller) has resigned. Advised that Noel Chapman, Nam bucca Shire Council will be the Acting LEMO. Requested a cleanup of the kitchen after the building and painting works are completed. Requested that the step from the kitchen to the new Rural Fire Service courtyard be modified. Requested that an air conditioner be installed in the kitchen along with the upgrade. Can the ?bug catcher? hanging from the ceiling be removed? Expressed concern at the poor quality of the internal wall lining on the northern kitchen wall. The Chairman on behalf of the Committee stated a thank you for the role Bruce Redman played in assisting the Committee and the emergency services in improving facilities over the years. The next meeting will be held on Wednesday, 6 October 2010 commencing at 9.00 am. There being no further business the Chairperson then closed the meeting the time being 10.00 am. ?